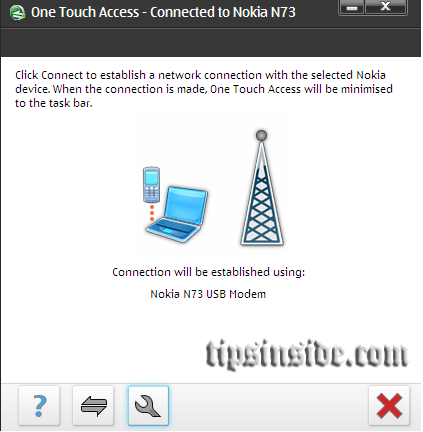 Connect your mobile phone to your pc..
Open your NOKIA PC Suite. Then select Connect to Internet. my operator is aircel, i have every aircel gprs settings and also have pocket internet pack. Please check , That your mobile has possible to open all webpages or not…? When i connect my nokia mobile to pc a message after connecting to the net is displayed showing that unauthorised request.Subscriber/request have been barred. Please tell me how can i resolve this problem. When i connect my nokia mobile to pc a message after connectingto the net is displayed showing that unauthorised request.Subscriber/request have been barred. 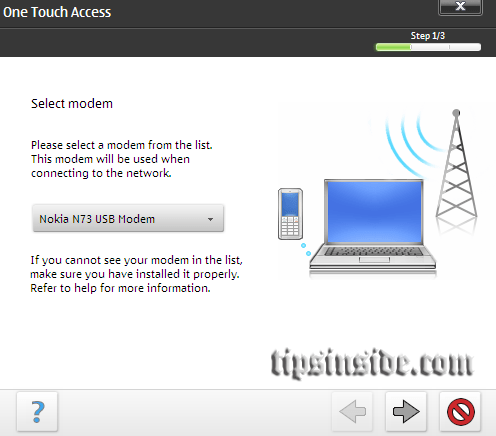 I'm using nokia c2-03 hw can i connect it with my pc i've nokia pc suite installer bt in my cell there no option like pc suite. Whn i connect my cel via USB thn thr r 3 options viz. Hey buddy i've tried tht bt nt working. Do u knw any other way 2 connet it. Whn i use tht option at tht time in my pc doesnt show tht my device is installed or nt. Wht 2 do yar?? And 4 connecting via bluethood i dnt knw whr is the option of bluethooth in my pc. Also i dnt knw whethr in my pc bluethot is thr or nt. Plz yar tel me all the thngs which i've ask u. Plzzzz.! Is thr anythng by which i can instal bluetooth in my pc. 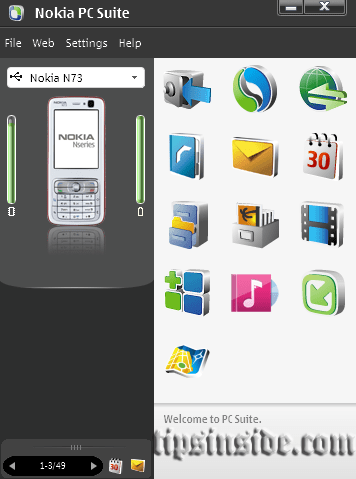 i am using nokia 5233 set. When i connect nokia pc suite through usb ovi suite in mobile my internet starts working in firefox. But while using it i can only search iteams on google. After searching in google when i select the options my browser shows uauthorised request subscribed. Can anyone plz tell me the solution so that i can open any page in pc. I don't have any pc suite installed in my laptop.I connect my cel via Bluetooth n hav created a dialup connection..the internet is working but for sites other den google its showing an error message.unauthorized request.request have been barred..the os is windows7 32bit edition..pleases help if u hav any solution for this..thank you in advance..